Lola absolutely loves dinosaurs as well as going to the theatre so what could be better than going to see Dinosaur World Live at The Orchard Theatre. 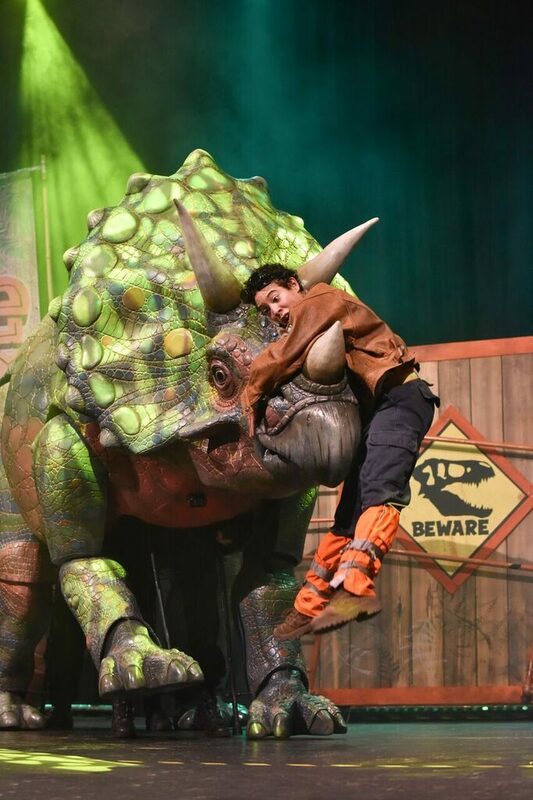 Dinosaur World Live is currently touring around the UK before going to Regents Park Open Air Theatre for nearly a month. I honestly can not totally put into words just how fantastic the show is! It is so interactive and every single child in the theatre sat practically with their mouths open in absolute amazement of every dinosaur! Dinosaur World Live uses puppetry to bring dinosaurs to life and teach everybody about dinosaurs. You honestly don’t even notice the puppeteers on stage as the dinosaurs are so life like that you just focus on them! The show is based on Miranda whose parents are palaeontologists. They were washed up on an island that just so happened to be inhabited by Dinosaurs! During the show Miranda introduces the audience to all her dinosaur friends! As well as teaching everybody about each dinosaur. Throughout the show children are invited on stage. 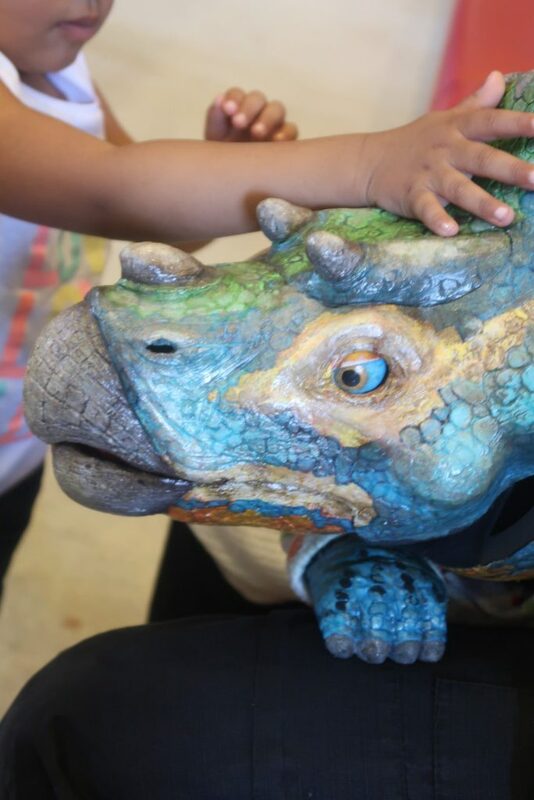 Whether it be to walk a dinosaur, feed a dinosaur and even tickle a dinosaur! The children in the audience are encouraged throughout to shout for Miranda if it looks like an egg is about to hatch! As well as joining in with roaring at dinosaurs and shouting throughout the show. 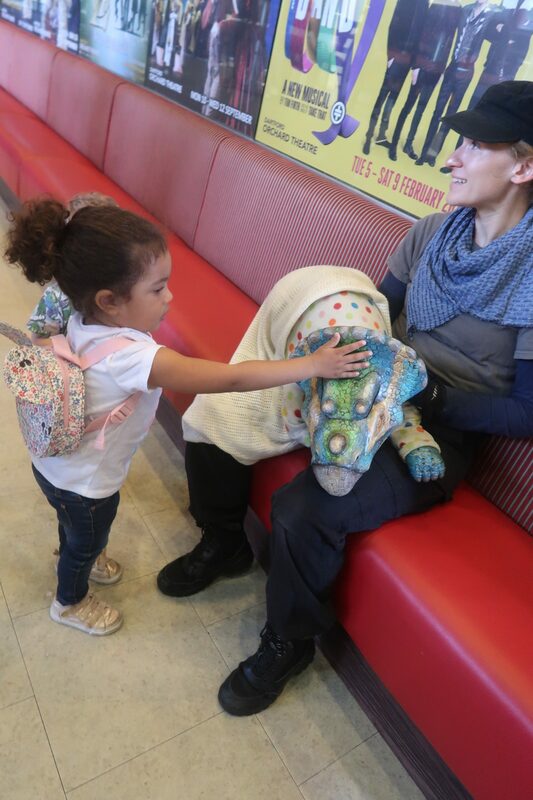 If your child has yet to go to the theatre then I can’t think of a better show to see for their first experience especially if they are a dinosaur lover! After the show you are invited to meet some of the dinosaurs. Lola was desperate to but I was concerned the queues would be huge and take forever as obviously everybody wanted to meet them. We joined the queue and was amazed just how quickly it went down! The actors from the show were fantastic ensuring everybody got to see the dinosaurs but it didn’t feel rushed at all! They obviously understood some children would be scared. Even if they didn’t want to stroke the dinosaurs they were encouraged to just wave to them. I really recommend going and seeing the dinosaurs at the end and not just leaving. 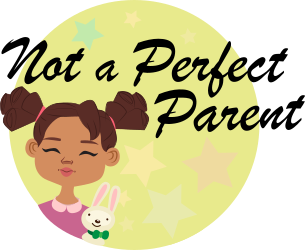 It’s fantastic for the children and totally adds to the experience. The Show is recommend for 3+. Lola is obviously only 2 1/2 and the friend we went with is a few months younger than her. Both kids absolutely loved every second. They were both so focused on the show, shouting and joining in as much as possible! I do think slightly younger could be scared but equally there were some older children that we scared. It really is down to the individual child. ← Going from 1 to 2!